creates a wash of diffuse light. 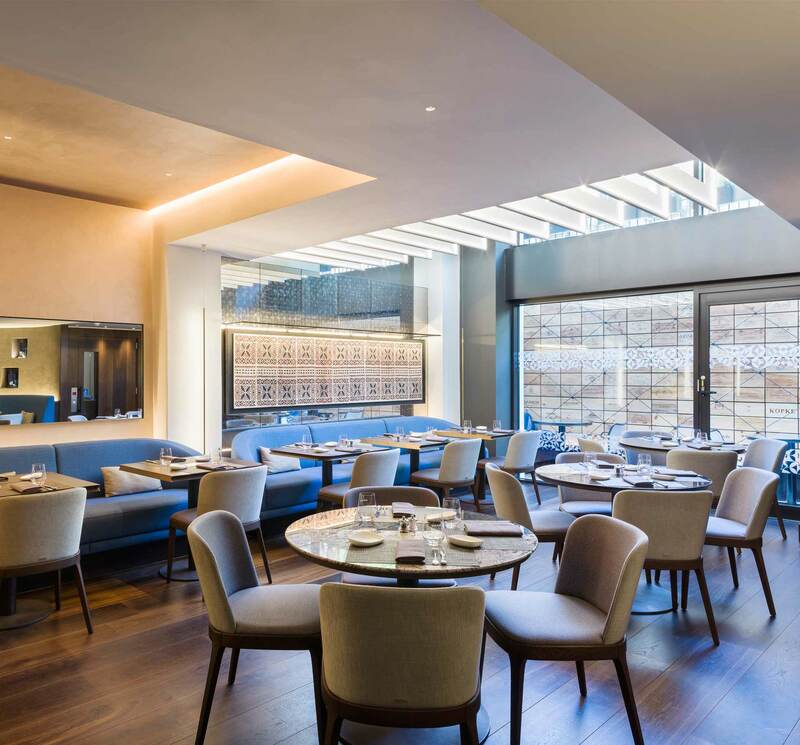 This new restaurant on London’s Charlotte Street has a refined, personal interior where diners get to enjoy a relaxed and intimate culinary experience. 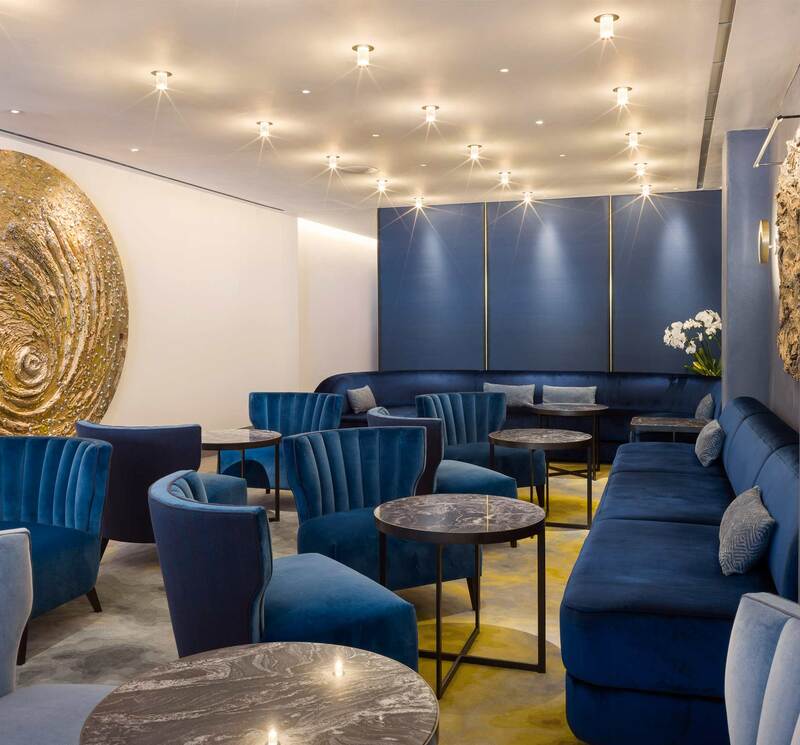 Our role was to design and manufacture bespoke lights to showcase the contemporary artworks on display and feature ceiling lights for the bar area. Our custom picture lights were designed to match the span of four different pieces of art. Crafted from aluminium extrusion, the slim profiles of light are so discreet they appear to be almost invisible, while still providing a wash of vertical illuminance to highlight the works. Painted in a black powder-coat finish, they contain high output LEDs with high colour rendering to accentuate the different textures and colours of the pieces; flexibility was also key in the design – so they are fully dimmable and have an adjustable angle. The bespoke ceiling-recessed halo downlights consist of a transparent cylinder that houses a hand-finished, antique brass conical reflector. By using a specially made acrylic lens to create total internal reflection, a soft halo of warm, diffuse light is washed onto the ceiling with no light spill on the floor. Creating a candle effect, the perfectly proportioned – thanks to the Golden Ratio – fittings complement the luxurious, rich palette of the bar’s interior design.